Discussions Magazine Music Blog: Ballin' with BESSIE: Music from the HBO Film starring Queen Latifah! Ballin' with BESSIE: Music from the HBO Film starring Queen Latifah! An HBO Films presentation, Bessie stars Oscar® nominee Queen Latifah ("Chicago") in the title role and focuses on legendary blues singer Bessie Smith's transformation from a struggling young vocalist into "The Empress of the Blues," one of the most successful recording artists of the 1920s and an enduring icon today. Throughout the years, Bessie Smith has served as an inspiration for such illustrious singers as Billie Holiday, Aretha Franklin, Janis Joplin and Nina Simone, among others. 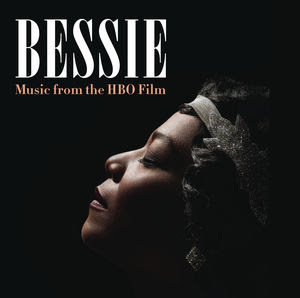 An evocative collection combining historic and contemporary recordings, Bessie (Music from the HBO Film) debuts seven new Queen Latifah performances including"Young Woman Blues," "Preachin' The Blues," "Long Old Road," "Down Hearted Blues," "Work House Blues," "Weepin' Woman Blues" (a duet with vocalist Pat Bass) and "Gimme A Pigfoot and A Bottle Of Beer (2015 Remix),”a postmodern reworking of Bessie Smith's original recording featuring newly recorded vocals, ad-libs and raucous banter by Queen Latifah set to enhanced instrumentation remixed and produced by Adam Blackstone and Queen Latifah. "Gimme A Pigfoot and A Bottle Of Beer (2015 Remix)" is a dream collaboration between the Empress of the Blues and Queen Latifah that exemplifies the brilliance of each of the artists while celebrating the musical soul that unites their eras and generations. The album features modern performances of blues, jazz and swing classics including "Prove It On Me," performed by Carmen Twillie; "See See Rider," performed by Tamar-Kali; "Laugh Clown Laugh," performed by Cécile McLorin Salvant; and two new instrumental arrangements from Vince Giordano & The Nighthawks: "I've Got What It Takes (But It Breaks My Heart To Give It Away)" and "Hot Time In The Old Town Tonight." Bessie (Music from the HBO Film) is rounded out with authentic period recordings from Fats Waller & His Rhythm ("A Good Man Is Hard To Find"), Louis Armstrong & His Orchestra ("[What Did I Do To Be So] Black And Blue"), Sippie Wallace ("I'm A Mighty Tight Woman") and Kid Ory's Creole Orchestra ("Ballin' The Jack").